When most people think about Miami, the first things that come to mind are beautiful people, crazy nightclubs and the party atmosphere stereotypically associated with South Beach. However, there is so much more to experience in and around Miami and Fort. Lauderdale. After a long weekend in the Southern tip of Florida with my friend Sarah, a Michigan transplant who has called Fort Lauderdale home for 4 years, I’ve compiled a list of some of the coolest and unique things to see near Miami other than the famed South Beach. The main stop of my checklist for Southern Florida was the Everglades: miles and miles of swamps with gators and wildlife I could never see in the Midwest. 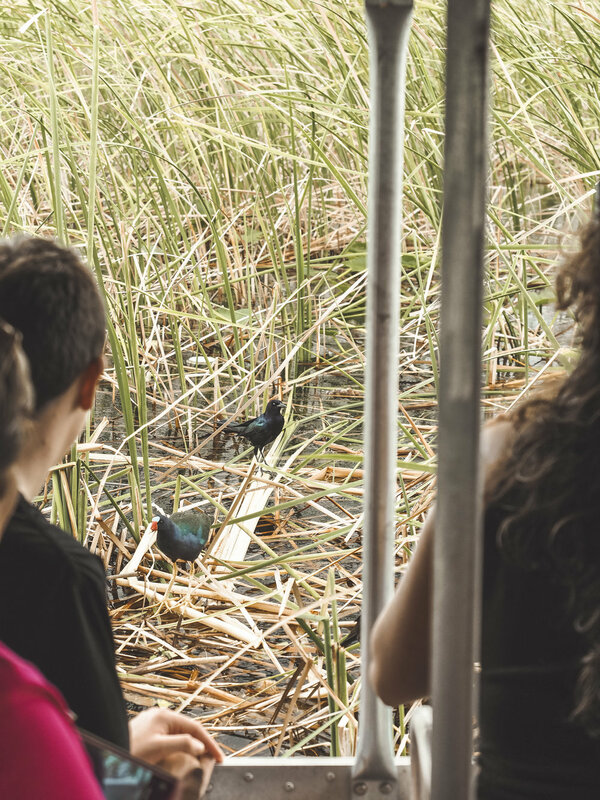 Touring the Everglades in a high-powered airboat is an exhilarating experience and the Everglades Holiday Park in Broward County will give you the opportunity to take a 60+ mph ride in an open-air vessel as it skims across the surface of the water. Even on a cloudy day, escaping civilization and zipping through the deep swamp is a calming experience. Our tour guide knew exactly where to stop our boat to see the most wildlife as possible and gave us so many nuggets of info about the flora, fauna and unique ecosystem that surrounded us. 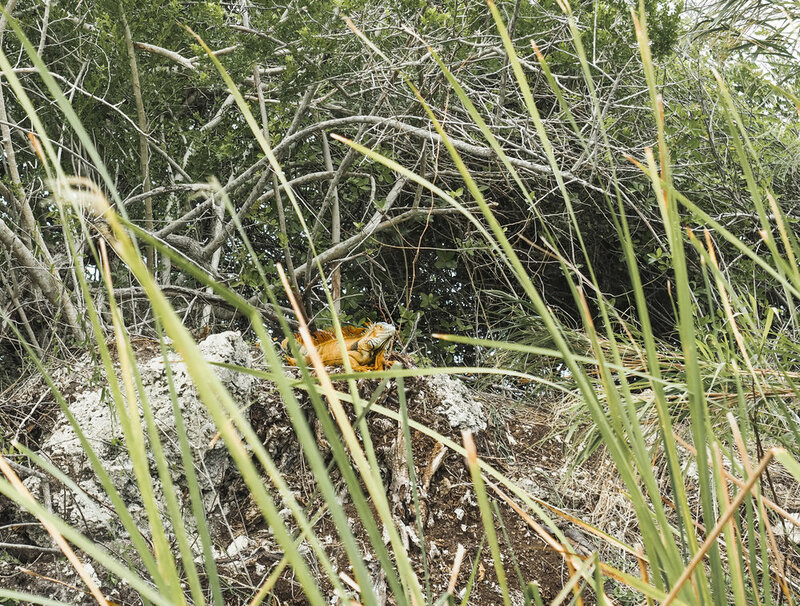 We saw blue heron fly along the water, iguana and other smaller bird species relaxing among the "River of Grass" and of course the highlight of the tour, multiple alligators. I've never seen an alligator so close in nature, other than the years I spent working at Brookfield Zoo in a suburb of Chicago. We didn't even tempt them over to our boat with marshmallows, a trick that many more commercialized gator tours attempt to make sure sightings happen. The Holiday Park is run by the Gator Boys, made famous by Animal Planet, an Alligator Rescue team that works tirelessly to educate the public about gators and the wetlands they call home. These guys are so pro, they don't need to trick the gators; they know exactly where to find them and how to quietly get their boats near so tourists (like me!) can safely get up close and personal. Towards the end of our tour I experienced a weather phenomenon referred to in Southern Florida as "the Devil Beating His Wife" or a "Sun Shower". Out of nowhere a torrential downpour of rain came down soaking everything within a matter of seconds, all while the sun continued to shine brightly through the clouds. There's a reason why Florida is called the Sunshine State: it's literally always sunny, even when it's raining! Within a few minutes the rain had abruptly stopped and we ended our tour with a rainbow stretching across the swamp. A perfect end to our day. There are so many beaches to choose from in Southern Florida. You can literally jump in your car and beach hop along the coast. However, a more relaxed beach experience can be found north of South Beach situated between Fort Lauderdale and Miami. Hollywood Beach has everything you could want: an expansive boardwalk that stretches over 2.5 miles, over 50 restaurants and bars overlooking the ocean, and free live music to jam out and dance to. Plus, you'll be living it up on one of the Top 10 Beaches in the U.S. (six of which are in Florida). The side streets surrounding the beach access have a neighborhood feel to them, with quaint B&B’s and local boutique hotels. A slight breeze and a drink in your hand is all you need while relaxing on the pristine sands of Hollywood, FL. Sometimes I really feel the urge to just hop on a plane and fly out of the States. My wanderlust can hit me full force and I become obsessed with planning a trip to somewhere completely new. However, my budget and full-time work load doesn’t always allow me to act on every travel whim that pops in my head. Even though I want to travel in Cuba, for now Little Havana in Miami, Florida was the perfect affordable substitute. From the food to the music to the beautiful artwork and culture, Little Havana makes you feel like you've walked through a portal in the middle of Miami and ended up in the Caribbean. Learn more about Little Havana in my blog post HERE. There are so many outdoor adventures to experience in Florida from the Everglades to the beaches but the most amazing ecosystems can be found underwater. Take the drive down to Key Largo, the Northern-most key of Key West and take part in a snorkel tour of reef systems 5+ miles off the coast. You’ll have the chance to swim among tropical fish of all kinds plus maybe a nurse shark or sting ray! It’s a great way to spend your afternoon and as a native Chicagoan, not my typical weekend activity. Read more about my snorkel adventure HERE. Have you ever heard of a Guanabana or a Mamey Sapote? These may sound like gibberish, but they're actually tropical fruit for sale at the Robert is Here Fruit Stand. Located in Homestead, FL this massive stand that’s more like an outdoor market has hundreds of goodies for sale such as fruits, locally-sourced jams and jellies (like Strawberry Serrano Pepper Jam), candies and even homemade fruit breads like banana or apple. But the main attraction that draws the crowds are the fruit smoothies. Seriously guys, these smoothies are THE BEST. You can choose to get them with or without milk with a menu of 18 basic flavors (that aren’t so basic) such as Papaya Passion Fruit or Blackberry. You can even splurge for a smoothie made from those crazy gibberish tropical fruits. I chose Banana Passion Fruit and I inhaled the whole thing within a matter of minutes. If you want to pace yourself, you can head out back behind the Fruit Stand where you'll find a small petting zoo with picnic tables. Miami is known for its bold use of color but in the center of the city is a neighborhood that takes color to a whole new level. Wynwood, an area that was once dilapidated and forgotten is now a thriving artist hotspot where almost every surface of the buildings and sidewalk that reside within are covered in murals, spray paint and artwork. It’s amazing place to walk through and peruse with countless food and retail stops along the way. The center of Wynwood is Wynwood Walls, an ever-changing art installation featuring muralists from around the world. Learn more about Wynwood, Miami HERE. A long weekend in Florida can mean more than just being a beach bum for three days straight. With so many outdoors activities and constant sunshine, you can really make the most of your days. It's a great retreat from snow and harsh winters and the perfect place to absorb some Vitamin D while exploring new cultures, great street art, and some really unique parts of nature.